A storyboard revisionist is responsible for re-drawing and improving the artwork for rough storyboards to make them on-model and ready for production. This revision process takes place after the original boards have been written & drawn by storyboard artists. Some people might think of storyboard revisionists as merely a clean-up staff for the storyboard team. 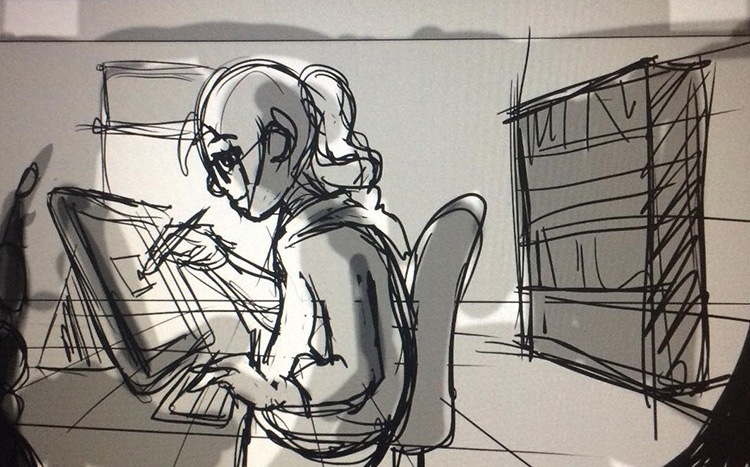 While one of their tasks is to clean up and patch rough storyboard panels, their responsibility extends beyond that. Storyboard revisionists are an important part of an animation production team. Their main role is to support the storyboard artists and ensure the storyboards fit the animation production style and vision. During work, storyboard revisionists work closely with not only the storyboard artists but also with the head writer(s) and the art director. Revisionists work with their creative supervisors to discuss any & all storytelling objectives for the animation project. 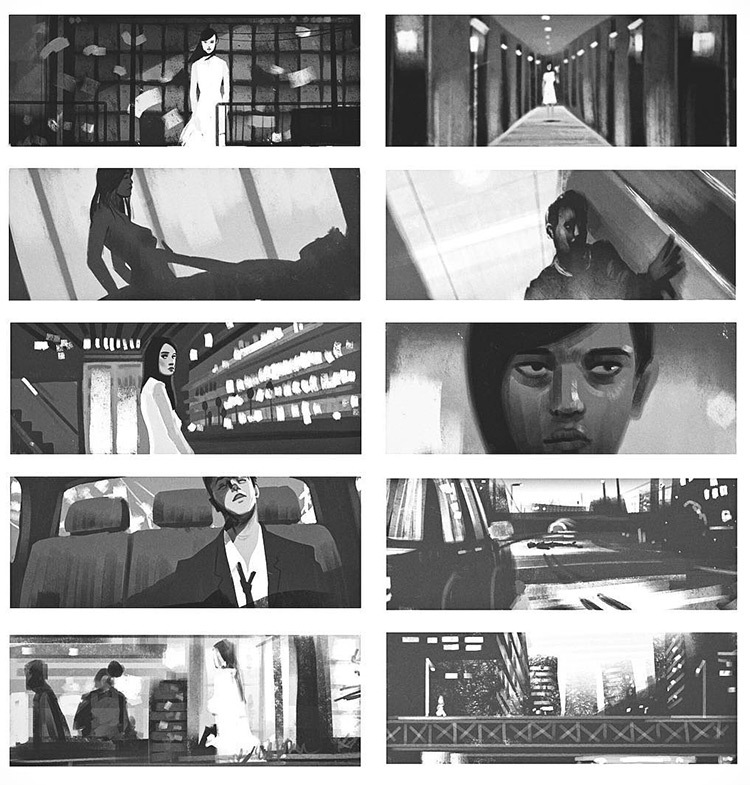 The storytelling objectives are implemented into the storyboards by both the storyboard artists and revisionists. Both parties help to back each other up and fill in gaps when someone might be bogged down in work or falling behind schedule. If the original storyboard draft does not meet the creative objectives then the storyboard revisionists & art director will take note of what needs to be changed for the 2nd draft. Sometimes revisions can be as simple as cleaning up rough drawings in storyboard panels to more clearly match the show’s animation style. But it can also be as complex as completely restaging the composition in certain panels from scratch. Storyboard revisionists are responsible for making the storyboard smooth and adaptable into animatics. 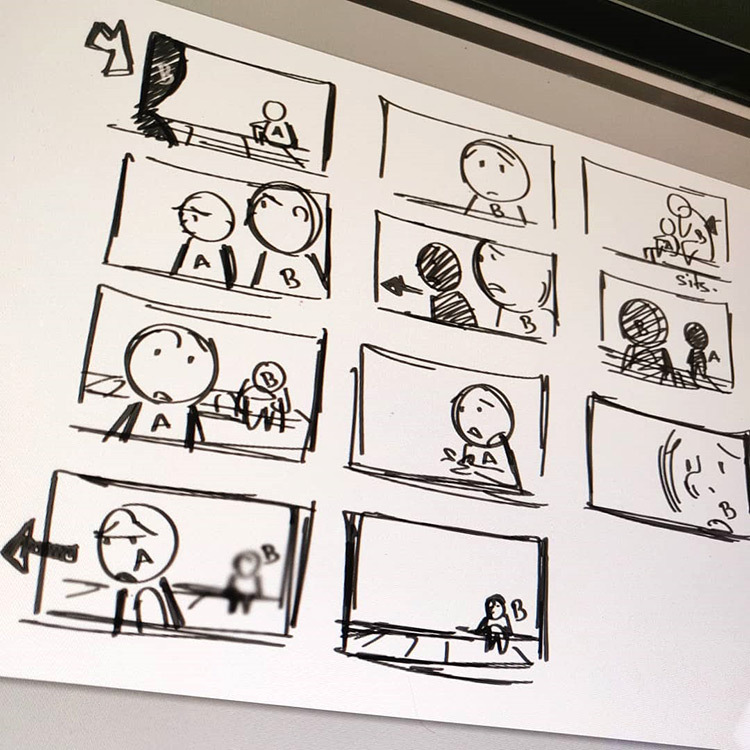 After all, the storyboard is created to help animators in the production team map out key scenes & visually tell the story in rough sketches. So storyboard revisionists must smooth out the finer details in the storyboard before the animation process even starts. They must also make sure that the progression between each scene can be illustrated and animated without any major issues(including camera/staging directions). Sometimes the progression between specific scenes can look odd or too sudden. When this happens the storyboard revisionist may need to add new scenes to better tell the story. Also they have to ensure that the finalized storyboard fits the projects goals both visually & creatively. That’s why storyboard revisionist need to have both artistic skills and writing skills. Aside from understanding the production’s storytelling objectives, they must understand character designs, poses, and expressions as well as scene compositions. The best revisionists can easily spot flaws or characters that are drawn off-model in the storyboard. To avoid boring storyboards, revisionists are responsible for making perceptive camera changes between scenes. For example, they might need to change the point of view in certain scenes to show details in the background, or to make the scene more dynamic. Every storyboard needs to convey the right emotion and messages to the audience whether it’s for a cartoon, a commercial, or anything else. Storyboard revisionists also need to maintain consistency in the storyboard and the production. This is hugely important and probably the single biggest task they must handle. This can be as simple as fixing continuity issues between scenes, like making sure props don’t magically switch places or appear in the wrong hands. But sometimes it can also mean having to re-choreograph a scene or reposition characters into better places. While this is a very demanding job that requires a lot of practice, many aspiring storyboard artists start in a revisionist role first. This way they can learn the trade while keeping focused more on re-orienting existing boards instead of needing to completely write & illustrate storyboards from scratch. Aside from having good artistic and critical thinking skills, there are plenty of related skills that make someone well-suited for a revisionist role. Communication is at the top of the list. This is because storyboard revisionists must work as a part of a team. They have to communicate progress and changes with other story artists, writers, and creative directors. They must be able to maintain a communicative and cooperative working environment between the entire production staff. This role also handles a lot of re-writes and edits so every revisionist must be open to constructive criticisms on their work. And since the entertainment industry is fast-paced and dynamic, they need to have good time management skills. Storyboard revisionists often work with tight deadlines. Getting something done well enough & on time is always better than trying to deliver something overly perfect a week too late. Storyboard revisionists need to pay great attention to details. It’s been stated before that they need to be able to spot even the smallest flaws in the storyboard. Yet they also need to follow production management requirements to a T without missing any details from model sheets to character dialogues. A lot goes into this job but it’s also one of the best roles to get hired for if you want to become a professional storyboard artist or animator. Revisionists focus more on the art side of things while storyboard artists focus on a balance between the art & storytelling. Every revisionist is crucial to the animation pipeline whether it’s for a major Disney film or a small 30-second commercial. And working as a revisionist helps to refine your art skills while observing how other artists write storyboards. Generally if you’re interested in becoming a professional storyboard artist it’s not a bad idea to look into getting a revisionist job first.